A5 memobottle™ The A5 memobottle™ is ideal for travelling, the office or coupled with college books. Holding 25 fl oz, the A5 memobottle™ is a reusable water bottle for the premium drinker. 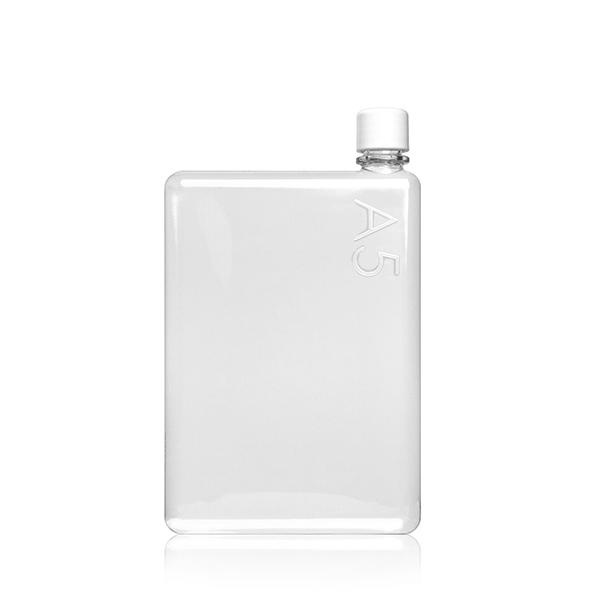 The A5 memobottle comes in recyclable cardboard packaging with 2 different colored lids (black and white) and the memobottle story.